Mike's Tavern is one of my favorite places in Peoria. It is located at 626 W. Cedar in West Peoria. 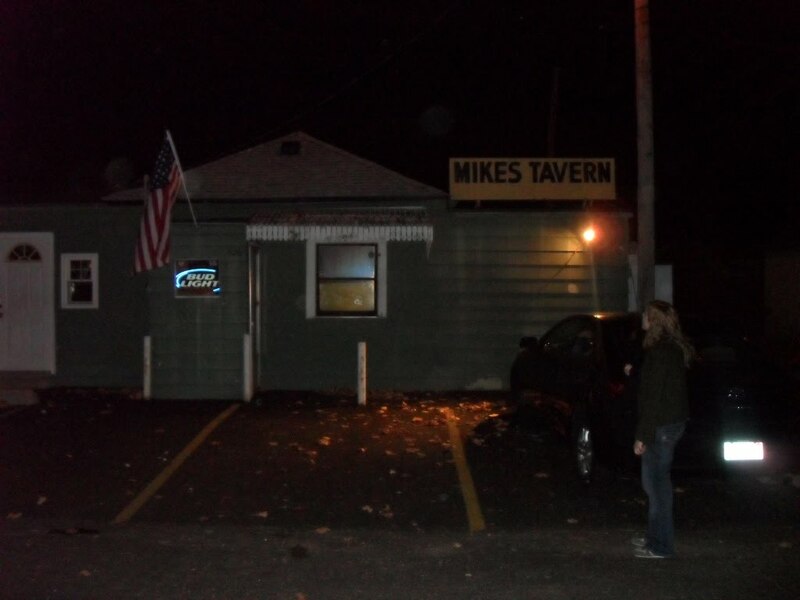 Mike's is also known as "Mike's Stand Up Tap". This is because there are a limited number of barstools (three) and the only other seats are some vintage school desks, you know, the one's that have the desk attached to the chair and were apparently made before people wrote left handed. Mike's oozes character; lots of dust, old beer signs, worn out bar, and even a pay phone inside! It's like walking into a time capsule except for that the house beer is Bud Light instead of Hamm's or Blatz (which they probably have if you wanted one). The only draft beers are Busch and Bud Light, anything else you might want comes in a can. Mike's has a great story behind it which adds to its charm. When you pull up in one of the three parking spots directly in front of the bar, you might say "this place looks like an old garage" well that's because it is. That's right, years before Mike's Tavern became a friendly neighborhood tavern it held the cars of whoever lived in the house adjacent to it. Turning your garage into a bar is every red blood American man's dream and in West Peoria that dream has come true. Mike's underwent it's conversion in the 70's and was a much different place than it is today. Back in the day Mike's was a stag bar, meaning females were not allowed. This probably had a lot to do with the fact that the original owner went to great lengths to avoid his wife and wanted to ensure that the guys in the neighborhood could do the same. The only way women could get a drink from the bar was through a window behind the bar where girls from the neighborhood and Bradley could buy six packs. Times have changed and now women are allowed in Mike's, however most days (and nights) the majority of patrons are men. Mike's Tavern is a no frills, old school neighborhood tavern. No flatscreens, no overpriced drinks, no deutschbags in cargo shorts listening to Seether. If you go to Mike's you might get a few looks from the regulars but that's probably just because they consider it to be a well kept secret and would like to keep it that way. The hours are erratic, usually depending on the mood of the owner or whoever is tending bar and how many people are in there at the time. Most nights Mike's stays open till 1 AM and usually opens around noon. So, if you've never been to Peoria or been here your whole life Mike's is a must see and if it's not your cup of tea then frankly, you have no respect for tradition and are an idiot. Go check it out and see for yourself! 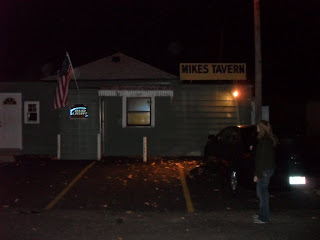 Great review of Mike's Tavern! I just linked it from my site, hope it's okay. Maybe the next time I'm in Peoria we can get together! Great site you have here! Thank for the comment Marty. I have been reading your site and let me just say that I am more than a little bit jealous. You sir, are living the dream. Good luck on your way to number 365! Love the new photos! Mike's rules!